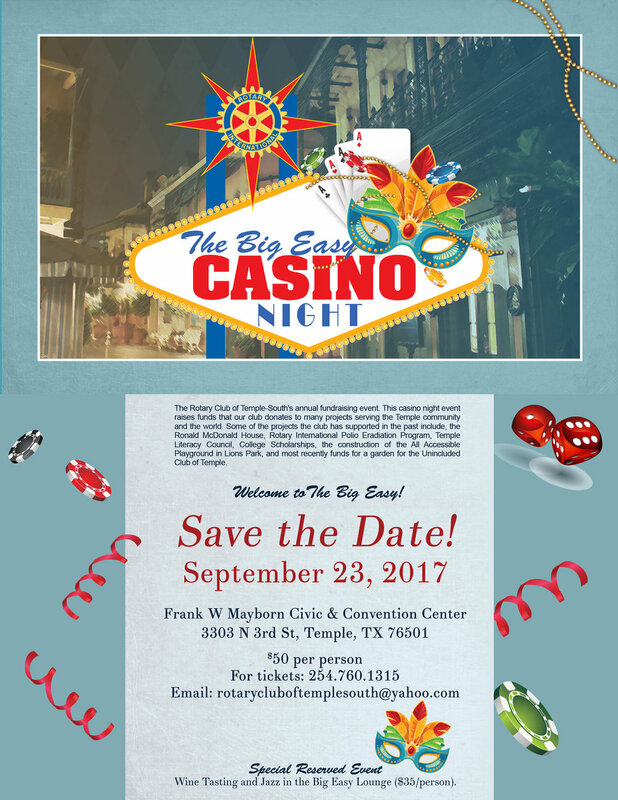 Join Us on September 23rd for The Big Easy Casino Night! Call now to see if your neighborhood is available! Get a flag for the rest of the days this year, Independence Day, Patriots Day and Veterans Day. Call now to see if your neighborhood is available! Get a flag for the rest of the days this year, Flag Day, Independence Day, Patriots Day and Veterans Day. The Rotary Club of Temple-South had a Ribbon Cutting at the Rotary Club of Temple-South All Accessible Park located in Lions Park. The celebration was for the new Accessible Swing that was provided by the Rotary Club of Temple-South. Thank you for filling a need in our community for an accessible playground! 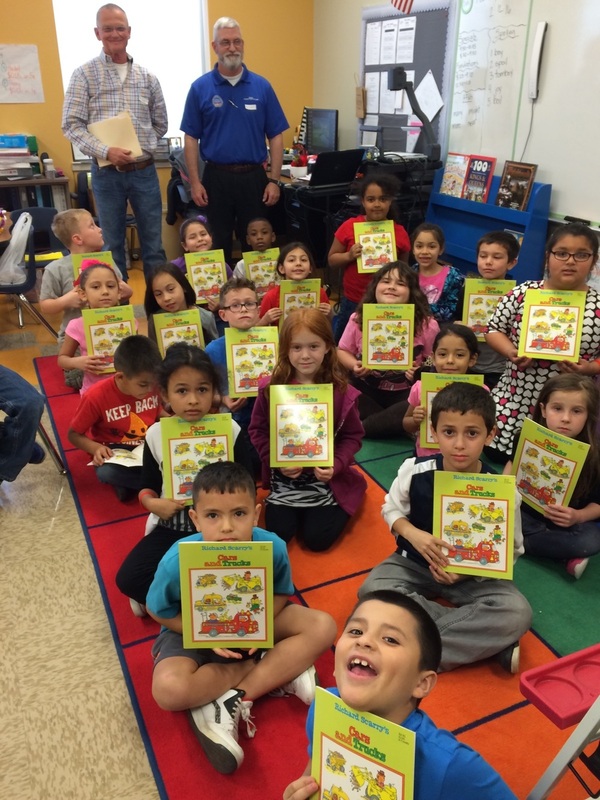 Rotarians delivered 100 dictionaries to 3rd grade students at Scott Elementary and 170 reading books to 1st & 2nd graders along with Valentine notes written by Interact clubs at Temple High and Holy Trinity. Students looked up words like "species" and "canine" after writing their name in the books. In honor of World Polio Day, Oct 24, the Rotary Club of Temple-South has raised funds as part of Rotary International's 27-year mission to eradicate the crippling childhood disease polio. Our club raised $1,200 from auctioning a member prepared steak dinner of 25 at our recent Casino Night fundraiser and members matched another $1,200 for a total of $2,400. Thanks to a new campaign, every dollar donated to Rotary will be matched 2-to-1 by the Bill & Melinda Gates Foundation. $20,000 given to 13 students from 5 different area schools from funds raised at our Casino Night!